For those joining us late my stance on the New Destination™ is very straightforward. The whole thing leaves me entirely cold. Again; standing in a church no more makes you a christian, than standing in a garage makes you a car. When a sane person takes about building in football, they don’t normally mean a billion quid spent turning a ditch into a shopping centre. Veteran ITK campaigner HertYid posted the below yesterday and I am still trying to discern the bravery. So many players of course need not be exclusively from the first team squad. However it underlines two indisputable facts. The Academy Myth® is more robust than the Academy itself. Because truth trumps lies. There was been a slow decay of the players we had heard of, which has now stepped up a gear to include players we hadn’t heard of. Don’t thank me – but you heard the Academy was a waste of time – here first. The Building Myth® doesn’t vaguely relate to the playing personnel at all. The mentality amongst the dumb dumb fans has now reached a new low with many hoping, yes actually hoping we sign the waste of flesh that is Jack Grealish. It’s true then, if you starve a man for a few weeks, he’ll soon come to recognise a piece of stale cheese as a ribeye steak with all the trimmings. So who comprises the double figures? Tone down some hyperbole and say double figures is perhaps 6 players. That is not just a massive, stupidly damaging number, it takes us back to a Steptoe & Son version of The Magnificent Seven spending. 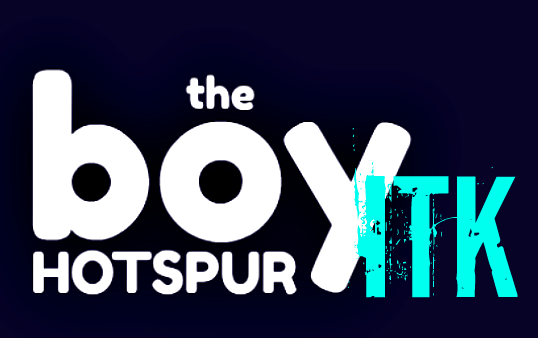 Forget the philosophy smokescreen, the methodology of Levy is to always take a punt. To try and get away with it. The punt this coming season is retaining Mauricio Pochettino, Harry Kane, Christian Eriksen, Dele Alli and Hugo Lloris. I am preparing myself to see what falls over the line when the window closes then, am I? Preparing for the grand Russian Roulette/Persian Bazar player trading hitting full Death Rattle mode on deadline day. What I cannot brace myself for is the dumb dumb fans telling me excitedly of a £150million+ war chest. Recycling the last vestiges of already wasted money like eventually shifting Sissoko is no reason for genuine celebration. A football club going into a new billion pound stadium with a side that hasn’t won anything, with newly cobbled together squad is courting chaos. Thing is, is their turmoil within the club, or is the arrogance and avarice so unchecked as to make those involved immune to common sense? Poch has been paid off. The key players are being paid off. All the other dumb dumbs are still cooing over roof cassettes and salivating over the draft menus for some 20 restaurants. Meanwhile, the well run clubs are adding to the depth of their playing staff. Mahrez has just gone to City. Even Chelsea are active – and their owner recently withdrew his application for a British visa! So we’re sitting here hoping that the deadbeat Lucas Moura who cannot buy a game comes good – or we buy the recently relegated Jack Grealish.